A black and white negative of an unidentified street. 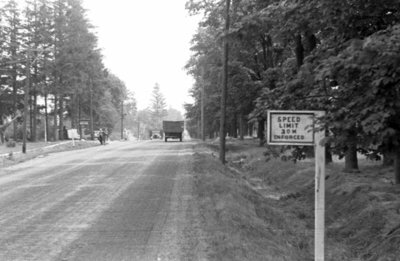 In this view the speed limit sign can be seen. The sign states "SPEED LIMIT 30 M ENFORCED". Martin Transport Accident, August 6, 1937, Marjorie Ruddy. Whitby Archives A2013_040_160F.